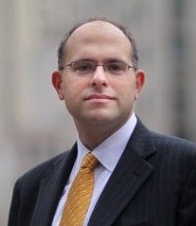 The founder of Andrew Abramowitz, PLLC, Andrew Abramowitz specializing in securities offerings, startup matters, mergers and acquisitions, securities law compliance and other general corporate law matters. More information is available at www.aalegalnyc.com. Real estate development projects are often funded with a combination of debt financing, obtained from a bank or other lender, and equity financing. When equity funds come from outside investors who will not be involved in management, the developer must be careful to comply with regulations relating to sales of securities. These financing transactions are, more often than not, structured to be private offerings that are exempt from the federal Securities Act of 1933. However, a provision of the federal JOBS Act, enacted in 2012, blurred the lines between private and public offerings by permitting general solicitation or advertising in Rule 506 offerings, subject to conditions imposed by the SEC, which have recently become effective. 1. The new rules have the potential to transform how companies get connected with investors. Previously, companies generally relied on friends and family to complete private offerings, or engaged a broker who relied on its own network of investors. The ability to cast the net widely via means such as advertising, LinkedIn posts, etc. will greatly increase the number of potential investors available. 2. The key difference in conducting generally solicited Rule 506 offerings versus traditional private offerings is that companies relying on the new rules will need to take “reasonable steps” to confirm that all investors are “accredited investors.” The SEC does not specify what these steps must be but provides examples that are deemed reasonable (such as reviewing the investor’s tax returns), all of which involve much more due diligence than is currently common practice. As a practical matter, many investors will not be happy about having to submit such sensitive information directly to a company. For that reason, the SEC permits certain trusted third-party intermediaries—a registered broker-dealer, an SEC-registered investment adviser, a licensed attorney or a certified public accountant—to certify accredited investor status to the company, using the appropriate verification methods. This will likely become the default method for verification, taking the direct burden away from the company. 4. The SEC has also proposed a variety of additional requirements relating to generally solicited Rule 506 offerings, including filing a Form D with the SEC 15 days in advance of commencement of the offering (rather than 15 days after the first closing of the offering, which is the current rule), and requiring a set of disclaimers to be attached to all general solicitation communications. These rules have not been finalized yet, however, so they are not currently effective. The law relating to securities offerings is highly technical, both before and after the recent rule changes, so be sure to work with experienced securities counsel when you’re seeking outside equity investment. I can be reached with any questions at (212) 972-8882 or aa@aalegalnyc.com.